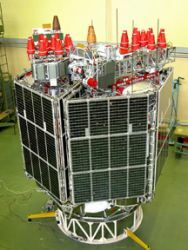 Russia launched a single GLONASS-M satellite into orbit on Monday (November 28, 2011) from the Plesetsk space center north of Moscow. 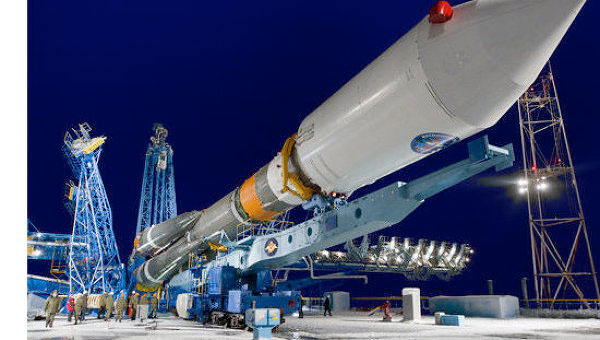 This is the fifth and the last launch of a GLONASS satellite this year, according to the Russian Federal Space Agency. 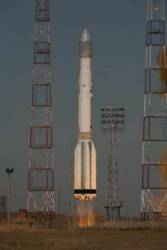 Typically, Russia launches three of the modernized satellites at a time on Proton rockets, including three GLONASS-Ms sent up November 4 from Baikonur, Kazahkstan, and placed in orbital plane 1. Monday’s launch used the smaller Soyuz rocket to place the satellite into plane 3. Mission control specialists have established communications with the spacecraft and say that onboard systems are operating normally, according to Russia’s Defense Space Forces. 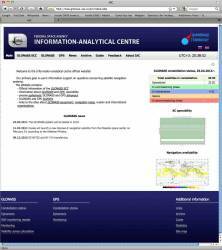 Russia’s GNSS system currently has 23 operational satellites, with a total of 24 needed to provide round-the-clock global coverage.